The movie revolves around the museum and the tablet that brings all the inmates to life at night hours. This time Ben Stiller goes on an adventure to rectify the things that are happening, as the tablet that seems to bring the members to life is broken. As a result some of the inmates might turn to wax statues permanently. How the journey unfolds and what happens in the process is a total comic riot. The movie has some great special effects and a lot of action. If you and your kids loved the first two parts, you are sure going to love this one as well. This is a movie that’s truly made for those who are looking for plain and simple entertainment, something that they can enjoy with their families. 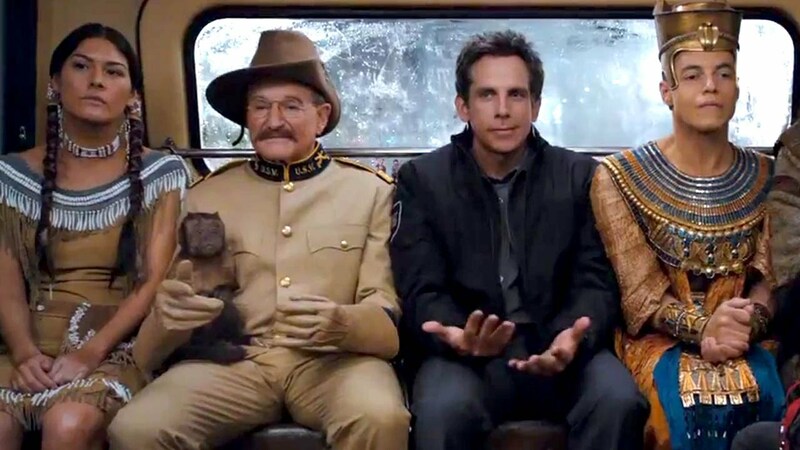 The actors have done great jobs in this movie as well and the prominent presence of late Robin Williams makes the movie even more worth watching especially for his fans. Some might say that the whole movie is quite silly and doesn’t make any sense, but then can’t it be understood by the name and the plot itself? Overall, the tried and tested formula of Larry doesn’t fail to make the audience laugh even this time.